Happy fifth Friday of the month and welcome to our viewing of tags galore. Each and every one of us love creating with no boundaries and this is the perfect occasion to follow our muse and have fun experimenting and playing with new ideas and techniques. I'm sure you're gonna love the line up today and find something that inspires you and when you do it would be lovely if you could pop over to everyone's blog and leave a little love. 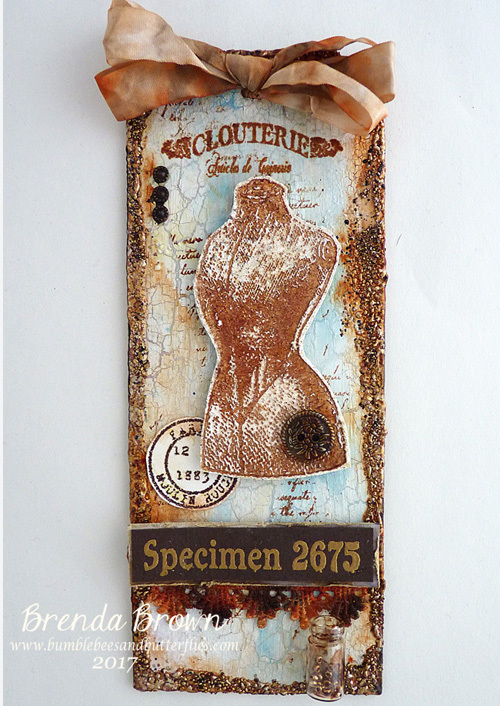 I love Tag Friday posts, the freedom to create anything we like as long as its a tag and a Tim Holtz Etcetera Tag was the perfect starting point for me. 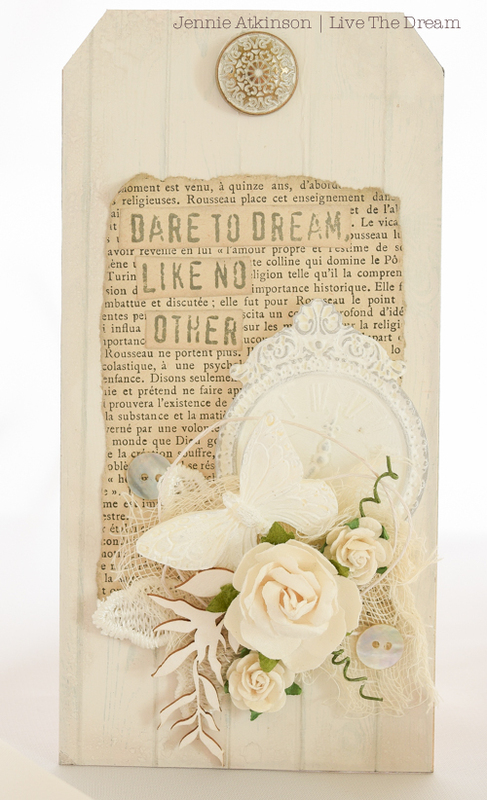 Vintage pieces and colours were my inspiration for this piece and this was great fun to create. Pop by my BLOG for all the details. I always love a Tag Friday and had every intention of making something colourful to cheer me up as we are having a terrible summer of weather ..... but somehow this happened! Do join me over on my blog if you would like to see more. 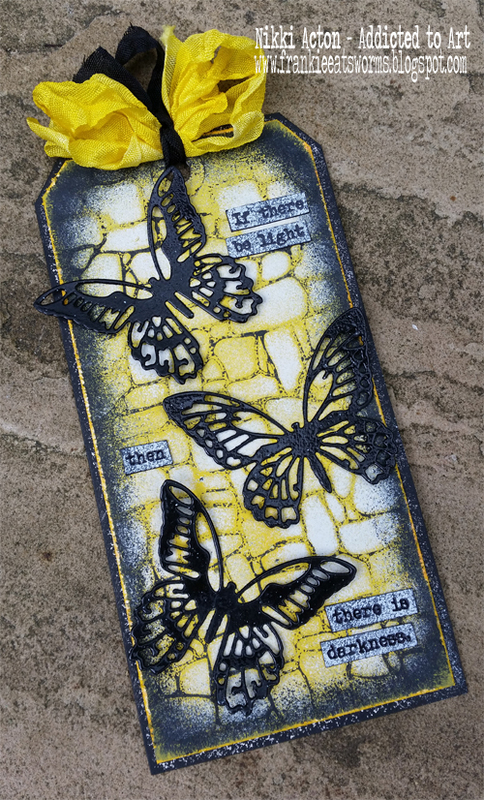 I have been working on my tonal values to create light and dark in my tag today featuring the exciting new quote stamps by Alison Bomber / PaperArtsy. Do pop over to Addicted to Art to see all the details. 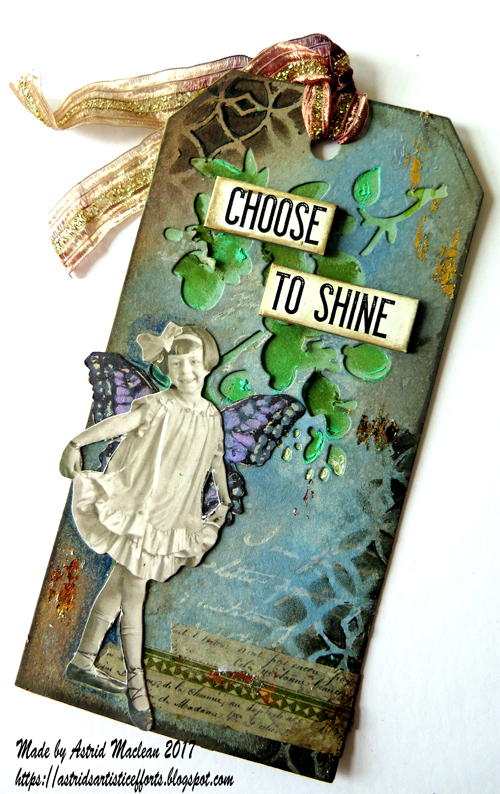 For my first Tag Friday, I tried out a new-to-me crackle product, pairing it with some old mixed media favorites. I hope you'll take a minute to stop by my blog for the details. 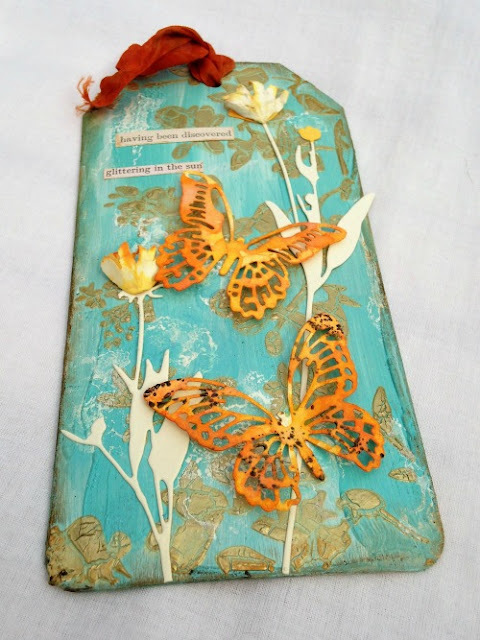 Like all the Creative Guides I love a Tag Friday post and today I have an mdf tag to share inspired by my visit to the Dare 2 Create retreat last weekend in Coventry. I was lucky enough to attend Andy's workshop and I also sat with Dee Adams when she did her demonstration in the evening, this takes something from both of them and I love the look. More photos and details are over at Bumblebees and Butterflies if you'd like to see how I made it. 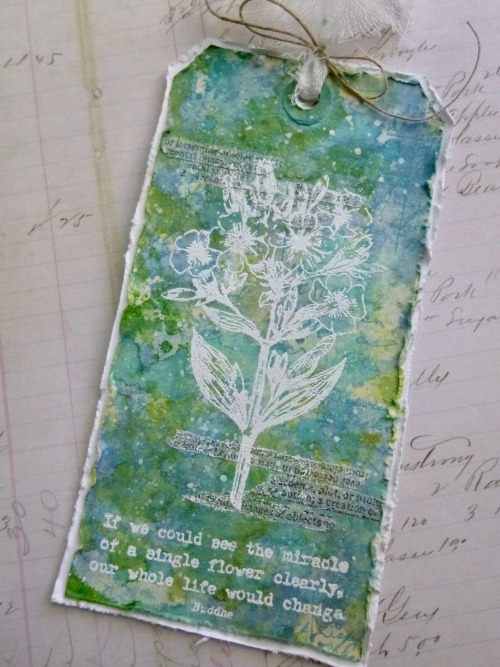 I think we all love a Tag Friday round here, and I was definitely delighted to have a chance to play some more with my new PaperArtsy quote stamps. Yes, I really do mean "my" stamps. I'm so excited... now I have lots more words to go with my pictures! I do hope you'll pop over to Words and Pictures to find out more. I've gone all deep and meaningful with the tag I have created for our June Tag Friday. To find out more just click here and you will be whisked straight over to my blog. 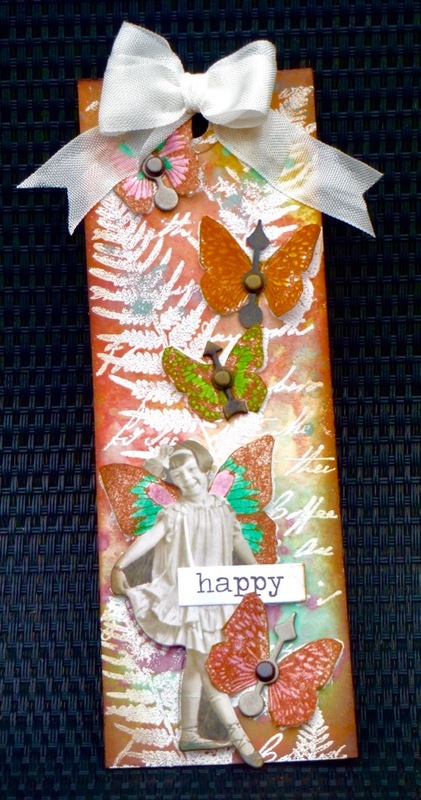 I took this Tag Friday opportunity to join in with the 'Get Hip For Summer' fun using Tim Holtz's Hipster stamp set. 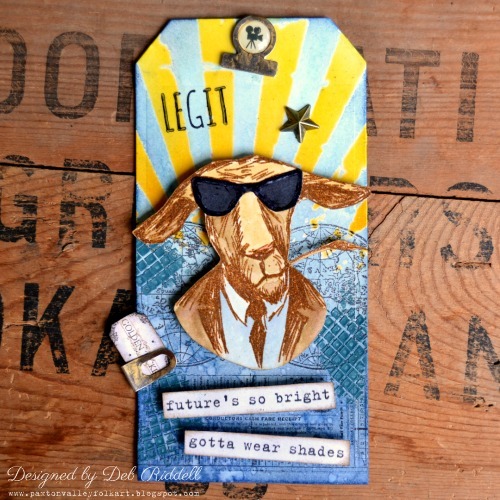 I envisioned this very cool dude as an up and coming film star, hope you can pop over to my blog for the whole story. Well there you are inspiration in abundance and such a variety of styles within the genres we love to see. There is still one more Destination Inspiration post here on Monday using the current travel bag contents and then next Friday we will be welcoming you to the next new theme to get your teeth into. But don't forget there's still time to enter the June Canvas challenge where you could win yourself a $25 voucher to Simmerz Paints. Have a wonderful weekend whatever you've got planned. Gorgeous and diverse group of inspiring tags, ladies! I can't wait to see all the details on your blogs! Way to go ALISON on the release of your new stamps! I'm so proud of you! Hugs! Brilliant tags all round... I've just been having a fabulous time visiting them in close-up. So much inspiration all in one post - bravo all! It's been a long time since I haven't made any tag!!! But your beautiful and versatile tags are very inspiring!!! Thank you for sharing and have a nice weekend to you all!!! A fantastic gallery of creativity ! Ladies .Loving each and everyone of your tags. Off to pin them to our board and then later I'll be enjoying a hop around you all tom delight in the detail. These tags are all fabulous. 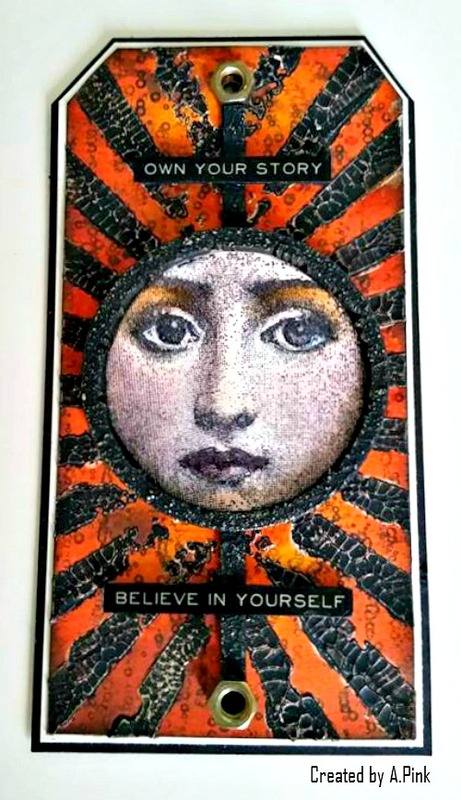 Lots of wonderful inspiration. This tags are all simply AMAZING!!!!! What wonderful inspiration!! !